Outside of the passionate British fans, the big names like Helen Wyman, Nikki Harris and Ian Field might be the household names from Great Britain. During the Milton Keynes World Cup, we caught up with Hannah Payton, who has been making enormous gains in the last season. Before the 2015 World Championships in Tabor, one of our European contributors examines the journey of another up-and-coming British rider: U23 Jack Clarkson. When Hope Factory Racing’s young Englishman, Jack Clarkson, lines up for his fourth World Championships this weekend, it will be his final race as an Under-23. 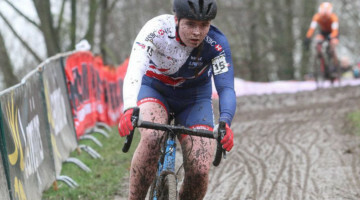 He is a familiar face on both the British and European ’cross scenes and after a career-best season, in which he finished second British rider in the Milton Keynes World Cup and took silver medals in both the Under-23 National Championships and National Series, he is looking for a top 20 placing at Tabor. 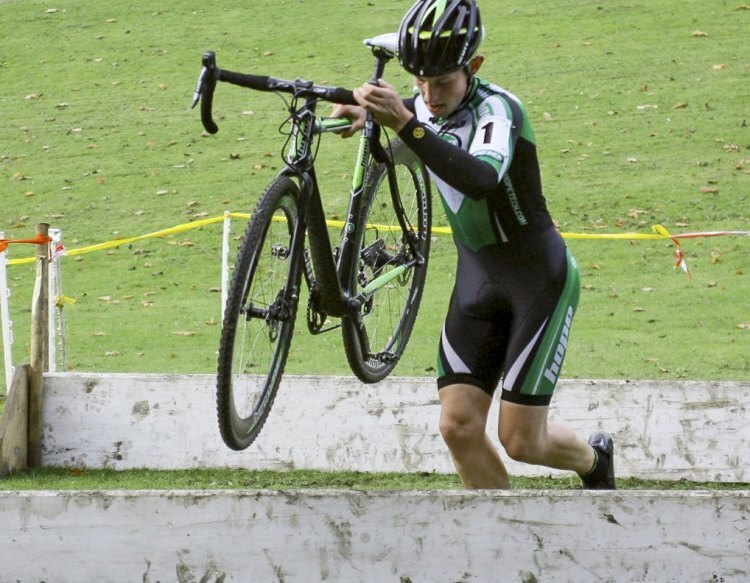 On the face of it, Jack’s career has followed the traditional pathway of a talented young ’cross rider, with regular success at National level and occasional glimpses of a greater potential during international races. However, Jack’s story, or perhaps more accurately his “back story,” contains an unexpected and uplifting sub-plot which perhaps explains a tendency to miss out on the sport’s bigger prizes and also suggests that his best years are almost certainly still to come. When you watch Jack in action over the weekend you’ll observe a typical modern ’cross rider: a lean, compact, all-round athlete with a particularly neat line in dismounts and a particularly great mover off the bike. You’ll see few other technical flourishes and in that “conservative” riding style there lies a clue to his past. 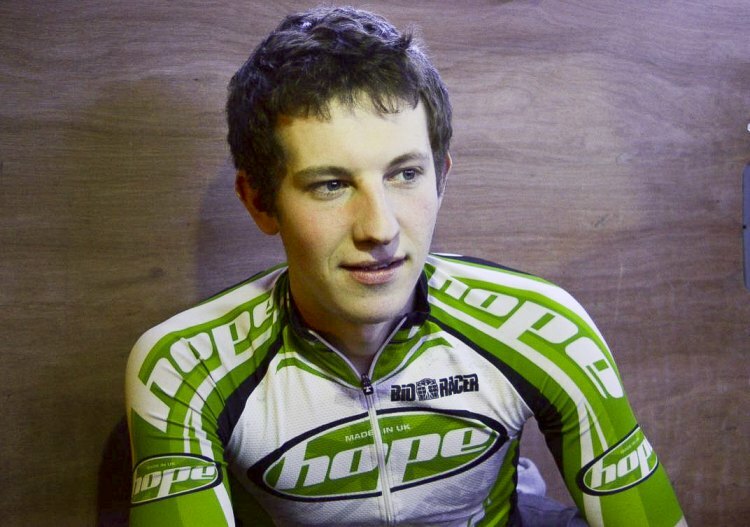 A brief journey through Jack’s racing history shows that his breakthrough season was 2010-2011, his second as a Junior, when he was runner up in the British national series and ninth at the National Championships: a good recovery from a first lap crash that had left him stone last. Nineteenth at the world championships in Saint Wendel a couple of weeks later, the best by a British rider that year, was something of a consolation. Hope Factory Racing signed Jack for the 2011-12 season and he rewarded them with second in his debut season in the Under-23 national series, but fifth at the National Championships was another disappointment, though it earned him selection for the World Championships at Koksijde where he picked up 40th place and further useful experience. Frustratingly, during the summer of 2012 Jack’s health began to let him down and frequent respiratory tract infections meant that his 2012-13 season was marred by ill-form and an inability to train properly. Jack could only manage 5th in the U23 national series and even more disappointingly, 11th in front of his home crowd at the National Championships in Bradford, close to his home in the Pennine hills of Yorkshire. It came as a relief when doctors finally diagnosed glandular fever and a gradual recovery followed. The 2013-14 season was something of a return to form for Jack but once again he was thwarted in the national championships, finishing fourth, a position he matched in the National Series. 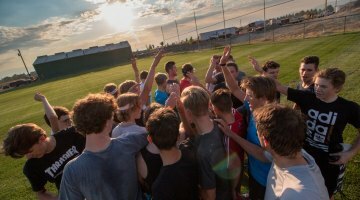 A reputation as a “nearly man” was beginning to develop and there were those who pointed out that he’d progressed little since his final season as a Junior. However, the current season has seen Jack finding new levels of health, form and fitness: a win and four other podium spots took him to second in the national series, whilst at the national championships he picked up his first ever medal, a sliver, with only the highly rated mountain biker, Grant Ferguson, denying him the national title. 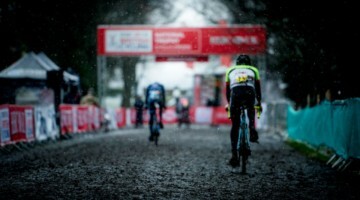 Before that, it was at the Milton Keynes’ World Cup event in late November that Jack’s best ride of the season came. Riding the elite race on a tough course, he displayed both confidence and a hitherto unseen technical assurance, finishing a highly creditable 32nd and, perhaps more significantly, comfortably clear of all the other British riders except National Champion Ian Field, who was also having the ride of his life in front of a noisy and partisan crowd. 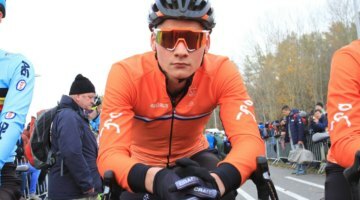 Twentieth place in last weekend’s Under-23 World Cup in Holland was also a useful marker as to Jack’s progress during the season. It’s now that we return to Jack’s back story. 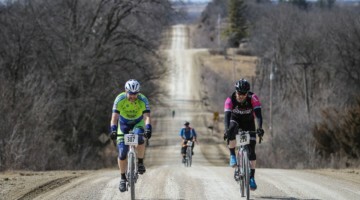 As a Junior in particular, and even today, he has earned a reputation as a rider prone to crashes and mechanical problems. Ask Jack and he’ll deny he has a problem and peddle the “if you’re not falling off you’re not trying” line. To be fair, if he has technical limitations, he has a good excuse. Nice write up Philip Ingham, Best of luck Jack Splat’s Clarkson ! Great story, just one thing: “15 stone (210lbs. )” What’s that in kilograms please? cyclocross jacksplats nice lad too!